Get Ready for HOT LATIN MEN! Last week’s guest post from Miranda Santiago on Swirling with Latin men struck a chord of interest that is still reverberating. Delaney is kind enough to share Chapters 1 & 2 from Fight for Love, book 2 in her Hot Latin Men series. These are stand alone books, so it’s totally ok to read the second book first. 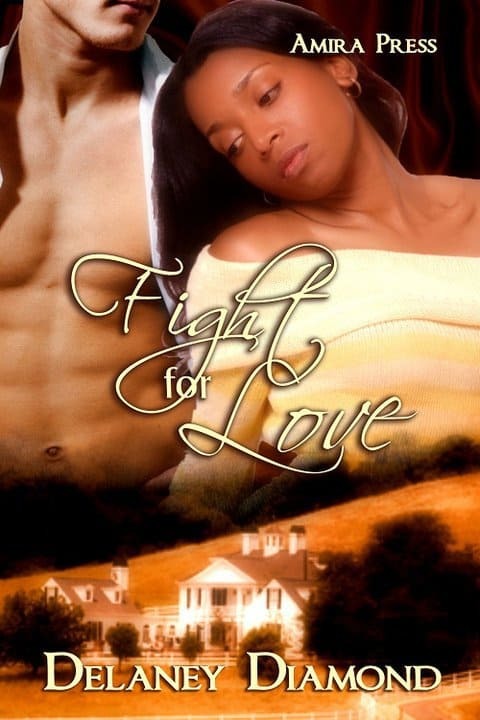 A former pro wrestler fights to hold on to the woman he lost, but still loves, and the son he never knew existed. Science teacher Rebekah Jamison lives a quiet life in the suburbs of Atlanta. Devastated by a tabloid scandal nine years ago, she ended her marriage to the man her parents never approved of. Rafael Lopez, former professional wrestler and “Sexiest Athlete Alive,” regrets the lapse in judgment that caused him to lose his wife. He shows up unannounced one day with some startling news, but he gets a surprise of his own. He finds out he’s a father. To get to know his son, he whisks him and Rebekah off to his home in the Hollywood Hills for the summer. Settle down for an intriguing read – and be sure to give Delaney a shout out in the comments! Rebekah Jamison wiped sweat from her cheeks with the back of her forearm so she wouldn’t scratch her face with the rough, dirty gloves she wore. The edges of her headscarf were damp. The cut-off denim shorts and loose-fitting tank top had seen better days, but they were comfortable, and she preferred to wear as little clothing as possible when she worked in the yard. The vegetable garden was a treat, but it could also be quite taxing in the Georgia heat. “Mom, look!” her eight-year-old called from a few feet away. He was grinning broadly, holding a worm in his palm for her to see. “Sweetie, put that down,” Rebekah scolded from her position on her knees. She had encouraged him to help her plant the fall vegetables, but he was turning out to be a distraction she didn’t need. Every so often he would wander away from the task, digging in the dirt where she didn’t tell him to dig and chasing after wasps and butterflies that flitted around the small, privacy-fenced yard. She probably would have been farther along if he weren’t “working” with her, but she enjoyed their moments together. Nine months out of the year she taught middle school kids about conservation, alternative energy, and green living as a science teacher in metro Atlanta. The biggest perk of working for the school system was that she could spend the summers with the favorite man in her life. Rebekah rose to her feet and dusted off her knee pads. “Maybe it’s time for a break,” she announced. She removed the large straw hat providing protection from the scorching sun. “Can I have some sweet tea?” His brown face looked up at her expectantly. He was overdue for a haircut. The loose, dark curls on his head were thick and unruly. With his cute, angelic face and big gray eyes staring up at her, she couldn’t refuse him the indulgence this time. “I will, I will,” Ricardo promised, racing past her toward the back door of the kitchen. She would make sure he drank water the rest of the day. He had developed a sweet tooth of late, and she wanted to break him from the habit of sugary drinks. Besides, he needed to stay hydrated since he spent so much time outdoors. Rebekah removed her knee pads and gloves and circled the small area where this year’s crop of summer vegetables was planted. She smiled. Last year she’d had enough squash, tomatoes, cucumbers, and green peppers to share with her parents and a couple of neighbors. This year’s crop appeared just as healthy and bountiful. The ringing of the doorbell brought her head up. He knew better, but it didn’t hurt to remind him. She hoped it was the delivery she was expecting from her sister, Samirah. They were souvenirs for the family from her latest jaunt overseas. She often sent them nice gifts from her travels. Rebekah sometimes envied her younger sister’s carefree lifestyle. Samirah had a culinary degree from Le Cordon Bleu, and she traveled the world, earning her keep as a cook in restaurants or private residences. Rebekah dropped everything in her hands and raced into the kitchen, uncertain if Ricardo’s tone expressed excitement or anxiety. He stood in front of the open front door, staring at someone outside. As she came closer, he caught sight of her and began to hop up and down excitedly, pointing with his hand to the still-invisible person on the other side of the threshold. “Look! Look! It’s La Sombra, Mom! It’s La Sombra!” he screamed excitedly. Rebekah skidded to a halt, her feet no longer sure what to do since her brain temporarily ceased to function. Heavy knots piled up in her stomach, and her broken breath shivered past her suddenly parched lips. Ricardo’s face was alight with glee, and his uncontrolled excitement was a comical contrast to the heavy dread pressing down on her. She moved slowly toward the door, closing her hands into tight fists to calm their shaking. When the person came into view, her stomach muscles clenched into even tighter, more painful knots. There was no doubt who the man was at the door. It had been nine years since she’d last seen him in person, but his image appeared on the occasional magazine, and she’d read articles about him online. Even if he weren’t a public figure and she had wanted to forget him, it would have been impossible because of the pint-sized, darker version of him bouncing up and down like a rubber ball just a few feet away. La Sombra had been the alias he used when he was a professional wrestler. The nickname, which meant “the Shadow” in Spanish, had stuck because of his dark complexion. His real name was Rafael Lopez, and he was her ex-husband. His gaze lifted from the small boy before him and settled on her. From the firming of his sculpted mouth and the hard glint that came into his gray eyes, she knew he’d already deduced the obvious. The young boy whose excited reception he had just received was the son he had never known existed. With a heavy pout, Ricardo stomped toward the staircase. Rebekah almost smiled as he repeated almost verbatim words she’d said to him on other occasions. His pitiful expression almost undid her, but she kept her face in an unhappy scowl. “Will I be able to get his autograph?” her son asked. Ricardo’s face broke out into a happy grin, and he scampered up the stairs. Rebekah’s heart kick-started with a thump, the matter-of-fact tone doing nothing to allay the frisson of fear that trickled down her spine. Even more disconcerting was her reaction to the deep, seductive sound of his accented voice. It scrambled her brain and sent unwelcome vibrations running through her. She didn’t dare look at him, worried he’d see every emotion she felt. Shame. Excitement. Anxiety. She needed time to gather her thoughts so she could have a coherent conversation. The shock of his unannounced arrival sharply tipped the balance of her normally ordered day toward disorder. As he shut the door on the outside world, Rebekah finally ventured a look at him. His thick black hair was closely shorn to his head. At five-feet-seven, she wasn’t a small woman, but Rafael dwarfed her at six-foot-three. He had an incredible physique, with muscles so densely packed the linen button-down shirt couldn’t conceal them. His muscles were tightly honed from years of weight lifting and hours of exercise, creating a fighting machine of flesh-covered steel. Each meaty bicep was the size of one of her thighs, and his lean fingers looked long enough to span the width of a basketball. “Sexiest Athlete Alive,” headlines had proclaimed two years in a row. More recently, his rugged good looks could be seen smiling into the camera endorsing agave nectar, an all-natural sweetener exported from Mexico. When his dark gaze rested on her, the last remnants of rational thought disappeared like a puff of smoke in a blast of wind. For a few seconds, her breath caught in her chest, and she was once again the seventeen-year-old girl who had anxiously awaited her eighteenth birthday so she could run away and marry the man of her dreams. He became the twenty-year-old rough neck from south of the border who had captured her heart and convinced her not to judge a book by its cover. His coarse exterior had disguised a tender heart and loving disposition—or so she’d thought. Her disapproving parents had been correct in their initial assessment of him. Rafael had changed once they were married, and not for the better. “What are you doing here?” Rebekah asked. Rebekah could have kicked herself. She had ordered the VOIP phone service over a week ago, but since she was a technophobe, she had delayed setting up the voicemail. Without waiting for a response, he brushed past her toward the kitchen, and she caught a whiff of an unfamiliar cologne. She followed him on unsteady legs, conscious of the fact she looked as bad as he did good. While he was dressed comfortably in a fine linen shirt and crisply pressed dark slacks, she was self-conscious about her unattractive gardening attire and pink cotton headscarf. She wasn’t wearing a stitch of makeup, and she was certain she must smell sweaty after working in the yard. In the kitchen, Rafael leaned against the counter, staring at her as she leaned against the counter across the room. His arms hung loosely at his sides, but she could sense the leashed tension in him. “Well?” she said to break the uneasy silence. She was never good at remaining quiet, and he was the complete opposite. He was the quintessential strong, silent type. Rafael’s hands clenched into fists, and he pushed away from the counter and took two long strides toward her. Rebekah brought her hands up in a defensive motion, drawing in a sharp breath. His steps came to an abrupt halt. “I wasn’t going to hit you,” he rasped. “You’re not exactly known for your long fuse.” Her rapid heartbeat began to slow down. The beseeching sound of his voice tore at her conscience. There was nothing she could say to make what she had done acceptable. She had tried to contact him, but he was right. She hadn’t tried hard enough. They were separated and on their way to divorce when she’d found out about her pregnancy. She had been back in Atlanta at her parents’ house, and he had already moved to California with Marty Luger. Marty had managed Rafael’s career from the time he discovered him at a local fight club in Las Vegas. They had moved there after she graduated from high school, and they got married in a small chapel off the strip. At first, it seemed the best decision was to remain quiet. His life on the road had concerned her, and his career was taking off. With her youthful dreams crushed under reality’s ruthless boot, she had felt like an extra appendage. She was certain the last thing he wanted was to be saddled with a child, and she certainly hadn’t wanted him to think she was using their son to make claims on his impending fortune. “From his own father?” Rafael grated. Sickening thoughts of him with other women raced through her mind. How many had warmed his bed over the years? Had they willingly done the things she wouldn’t? Rebekah knew her comment was a low blow, but she couldn’t stop herself. Before the flash of anger, she saw the hurt in his eyes. She pushed aside the pang of guilt. She was right to feel angry, and she wouldn’t feel guilty about it. “You know what you did.” The painful burning in her throat indicated the hurt from his betrayal hadn’t disappeared. It had only lain dormant, and seeing him again brought it back to life—almost as fresh and new as the day he’d broken her heart and rendered their marriage vows void and useless. His dictatorial tone rubbed Rebekah the wrong way, but she bit back her angry retort. Under the circumstances, it would be an overreaction, but she wasn’t far from giving him a piece of her mind. “Do you have to talk to me like that?” she snapped. It was possible Ricardo had seen the replayed matches on television without her permission. It could even be from the occasional commercials Rafael shot. Since retiring from wrestling, he endorsed a variety of products. In addition, he’d licensed his name on a chain of gyms on the west coast. Rebekah knew he was right, but she had no interest in fighting and tried to limit her young son’s exposure to violence. The idea of co-parenting with Rafael was daunting, and she had no idea what kind of parent he would be. He deserved the opportunity to play that role, but she’d had Ricardo to herself for eight years. She would have to relinquish any hard feelings she harbored toward Rafael and allow him to participate in all aspects of his son’s life. Her only fear was that their parenting styles would be so different he would undo everything she’d taught their son. “Rebekah, I’m asking for one summer.” The underlying accusation being she had robbed him of eight years. St. Kitts was a small island nation in the Caribbean where her mother was from. As children, she, Samirah, and their older brother, Adam, spent their summers there. As the years passed, they visited less frequently, but she wanted her son to be aware of his Caribbean roots. The last time he visited was at the age of five, and he hardly remembered his time there. Nodding, Rebekah resigned herself to what was to take place. There was no point in a delay. That didn’t keep the bundle of knots in her stomach from reappearing, and she wondered how she would make it through the difficult explanation without looking like a villain. As they neared the staircase, she turned to Rafael. “Wasn’t there something you said you needed to tell me?” she asked. Delaney Diamond is the bestselling author of sweet and sensual romance novels with multicultural characters. 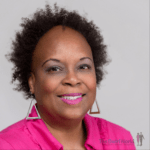 Originally from the U.S. Virgin Islands, she now lives in Atlanta, Georgia. In her spare time she reads romance novels, mysteries, thrillers, and a fair amount of non-fiction. When she’s not busy reading or writing, she’s in the kitchen trying out new recipes, dining at one of her favorite restaurants, or traveling to an interesting locale. She never had thoughts of being a writer growing up, but now that she’s started, it’s turned out to be a great creative outlet and the ideas won’t stop coming. Her favorite color is yellow. Her favorite season is spring. Her favorite type of hero: Alpha male! She’s an ice cream addict. Her favorite flavors are Haagen-Dazs’s pineapple-coconut and rum raisin; Breyer’s rocky road; Blue Bell’s pistachio almond. You can enjoy free reads and the first chapter of all her novels on her website. All rights reserved. All work is the copyright of the respective owner, otherwise copyright © 2013 Michelle Matthews-Calloway, ASwirlGirl™, The Swirl World™, Dallas, TX, USA.